Learn about the temperament and personality of the Cardigan Welsh Corgi. Discover what he's like to live with, his traits and characteristics and how he generally behaves. And look at lots of Cardigan Welsh Corgi photos. The Cardigan Welsh Corgi equals big personality in a little dog. These are intelligent, active, alert little guys who will want to be the center of your world. They love to be with their families, and will shower you with loyalty, devotion and affection. They need daily exercise and love to take long walks with you. They are intelligent and eager to please and do great with obedience training. They excel in obedience, agility, flyball, Frisbee, herding, and tracking competitions. They get along very well with respectful children, but parents need to be aware that Corgis might try to herd kids. (They also might try to herd other animals and your houseguests.) Most Corgis like to be with other cats and dogs. They are adaptable dogs and can live anywhere as long as they get walked, but they do like to bark, so close neighbors might object. 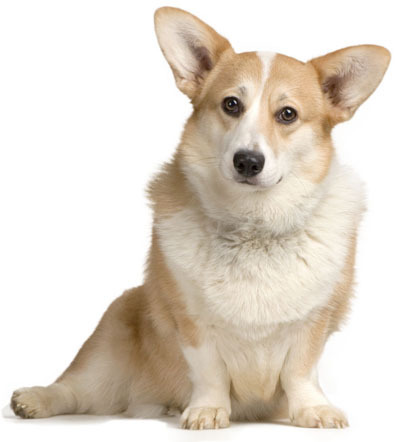 While personalities differ within the breed, in general, the Corgi is even-tempered, hardy, friendly, loyal and loving. And they are always full of fun. The Cardigan Welsh Corgi is very intelligent and easy to train. He learns new commands very fast. The Cardigan Welsh Corgi is a very heavy shedder. He sheds an awful lot of hair! You'll find hair all over your home, stuck to everything! You'll probably even find it in the butter!